I just want to start by saying, if you are not on Instagram I highly recommend it. One reason is because there are people (like me) who take pictures in the classroom, post them on Instagram, and forget to blog about them. Oops! Guilty. It's just so easy to take a quick snapshot and quickly post it. We all know that life seems ever so full and sometimes the quickest options win out. That being said, regardless of how much I love Instagram, I still LOVE, LOVE, LOVE reading blog posts. True, there isn't always time to read many of them, but it is always worth the time after I've read them. There are some pretty stinkin' amazing teachers out in the world! Ok, moving right along. My title of this post is about how it is snowing outside and it's APRIL, people!!! 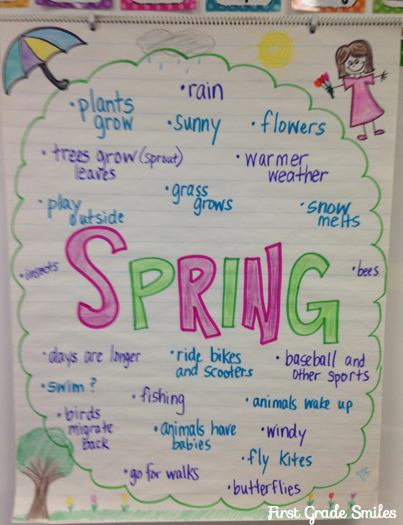 See, we're learning about Spring in the classroom. Why can't mother nature just get the message? 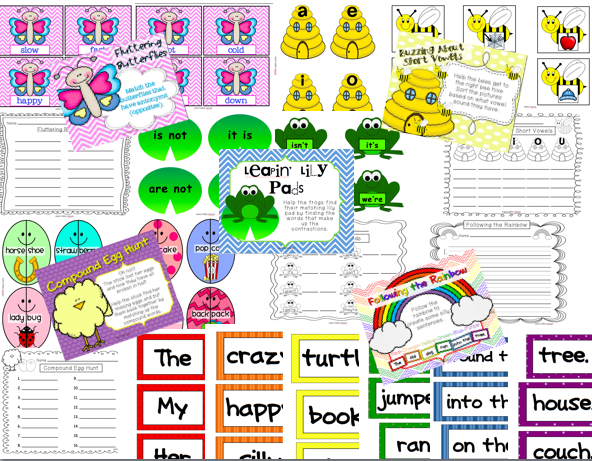 Disclaimer: I've said it before, and I'll say it again --- I am certainly no Cara Carroll when it comes to anchor charts. No lie folks - Cara's anchor charts are TO DIE FOR!!! If you are ever in need of some visual inspiration - go there for sure! So, as I post my own anchor charts, please know that I am totally aware that they are a little amateur, but I am so proud of myself for even attempting that I just HAVE to share. 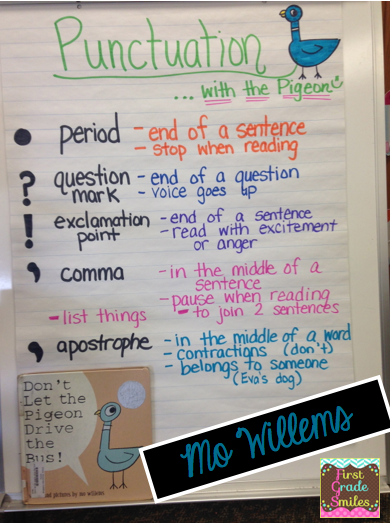 PUNCTUATION... with none other than the PIGEON! Mo Willems is so great! The kids love him and P.S. So do I! We read 4 different pigeon books and charted some things we noticed about the punctuation in these books. We then practiced using them with some shared writing. It turned out to be such a fun lesson. I know we will be referring back to the Pigeon again in the future, along with some other Mo books. 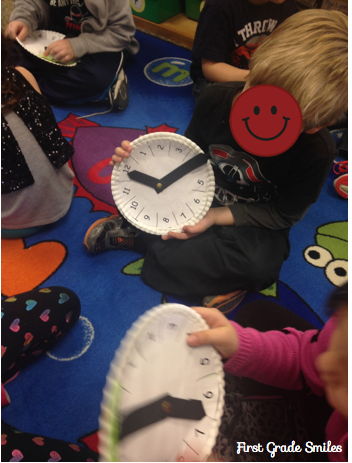 In math, we were working on telling time this past week. 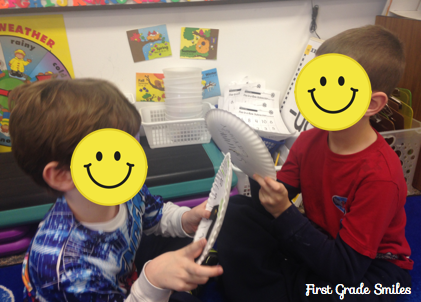 First, we made paper plate clocks. 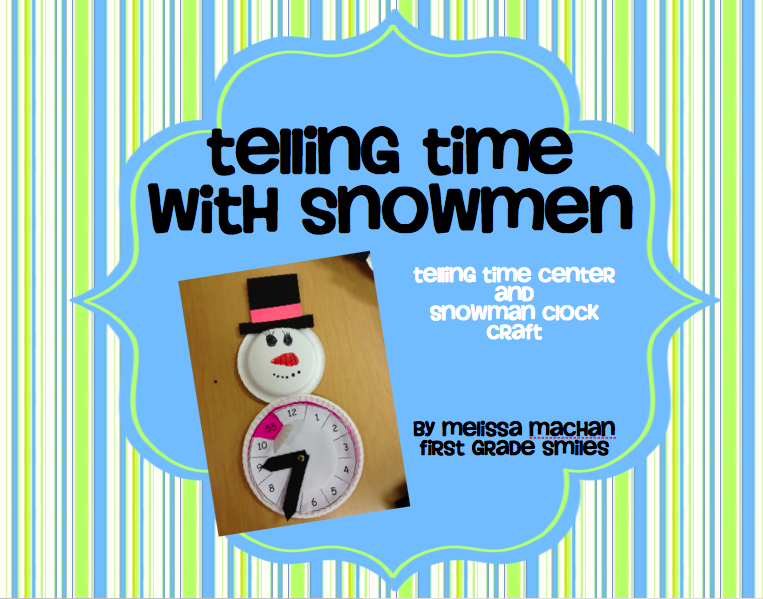 Last year we did time a little earlier in the year and it was still winter (the real winter - like on the calendar) so we made these Snowman Clocks. They were super fun! 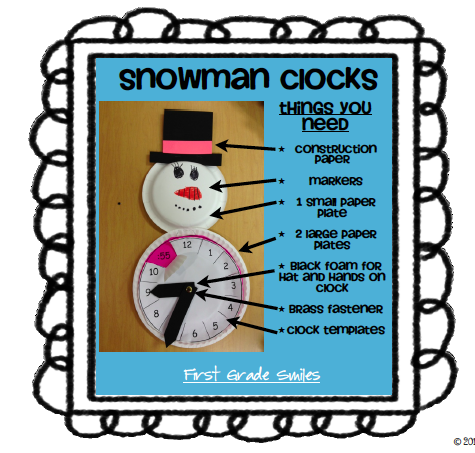 But as you've already realized, I am D-O-N-E with winter so I refused to make snowman clocks this year. We just made them without the heads. 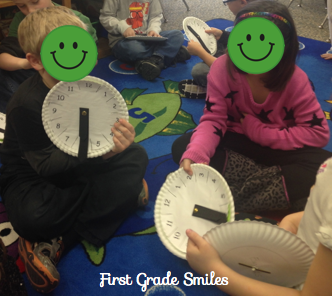 We did many things to practice telling time, but the kids and my favorite game to play with these clocks is what I call Teacher/Student. I know, it's lame - but I hadn't thought of a name for it when I introduced it to the class and this was all I could come up with. Creativity isn't always available on demand for me! Anywho - here is how you play Teacher/Student. First, I modeled for them, seeing as I am the teacher and they are the students. We all have our own clocks. I would turn my clock away from them and say a time. I would make the time on my clock and they were supposed to make the time on their own clock. After a minute or so, I say Flip! We all flip our clocks around and hold them up. The great thing about this is I can quickly scan to see who's got it and who doesn't. The students can also look at my clock to self-check at the same time. Many figure it out and fix theirs. If the student's clock matches the teacher's then the student gets a point. We do this for many different rounds. 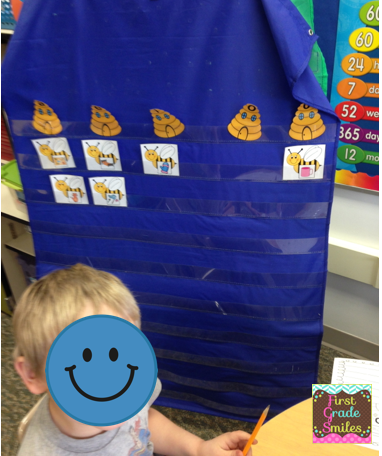 Then I group them with partners (or groups of 3) and they get to take turns being the teacher. 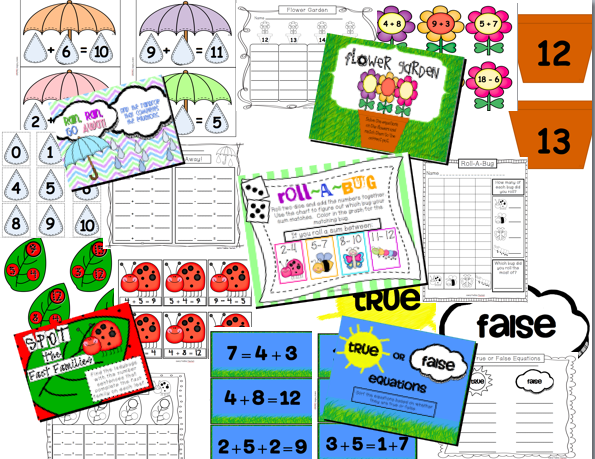 This game is a win-win because both the "teacher" and the "students" have to make the time on their clocks. It's funny when the student then says, "Hey, the teacher got it wrong", because yes, sometimes that happens. I really monitor this as I'm walking around so I can catch the ones who need help. Here are a couple snapshots of my kiddos playing. 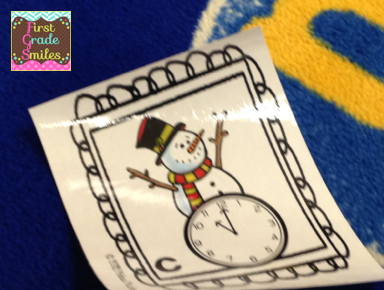 If you're looking for the templates to make this clock it is a FREEBIE in my store and it includes this quick little snowman center to help practice too. Yes, I did use this center even though I am anti-winter right now. The kids didn't mind! Finally, to get back to spring. 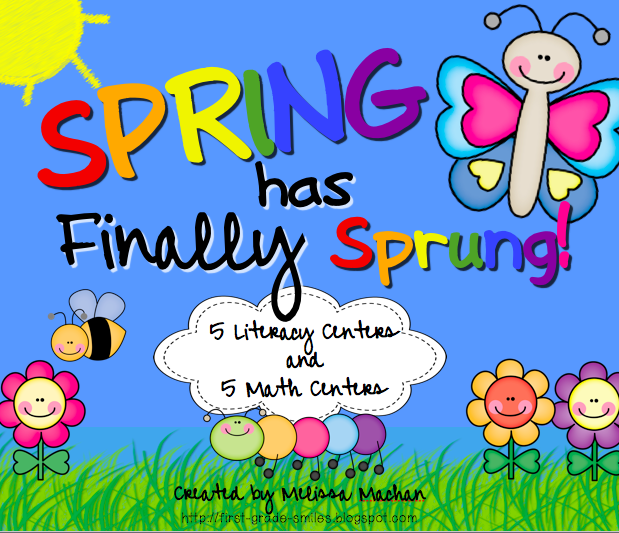 We started just a couple of my Spring centers this week. These two were perfect. 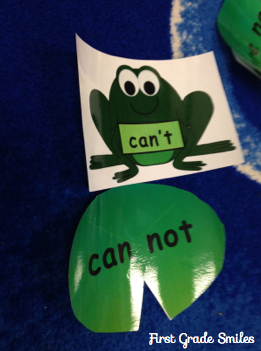 Leapin' Lily Pads was a contraction match center (perfect to go with our punctuation discussion) and Buzzing About Short Vowels was a perfect review for my firsties. It amazes me that some of them still struggle with these short vowel sounds. You can never practice them enough! We will be continuing to work through this huge pack of centers over the next month and I'll try to post pictures (both here and on Instagram) as we do. But if you'd like to check them out on your own, you can click on the pictures below. I agree it's so crazy to be teaching about Spring, when outside- it's still WINTER!!! I think your anchor charts are pretty amazing!! You should be proud. (I can't even draw a good stick figure!! ).